Lamb Kotfa and Saffron Crème Fraiche. Flaked Rice and Mixed Nut Poha. Pomegranate, Lime and Rosewater Granita. Mmm! What if we told you that you could cook all of these mouthwatering Indian meals guided by an uncomplicated and easy to follow recipe book...Feast your eyes on Indian Made Easy and discover a blend of traditional and contemporary Indian cuisine. 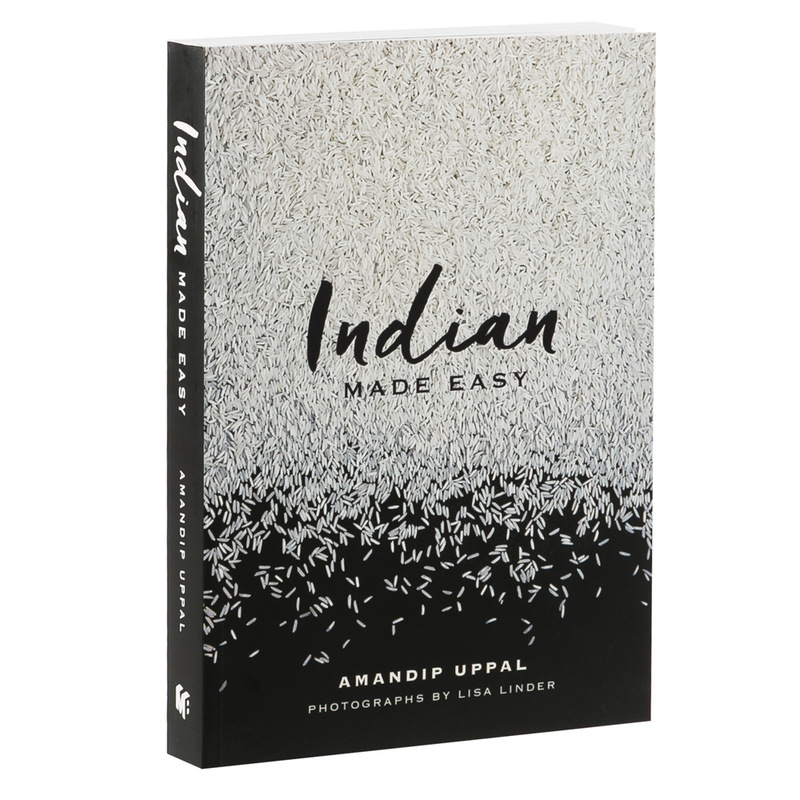 With over 140 recipes, Indian Made Easy explores a fresh, easy approach to Indian cooking. Perfectly suited to those with a fast-paced lifestyle, this cookbook has what you need to whip up everything from a simple sumptuous dish to an opulent feast. There is also a helpful menu planner, information on pantry staples, must-have spices and more! Indian Made Easy will inspire and encourage you to take a journey discovering the exciting and wonderful flavours of India in your kitchen. A perfect blend of traditional and contemporary Indian recipes. Contains a helpful menu guide pantry staple suggestions and more! Dimensions: 27cm (l) x 18.5cm (w) x 2.5cm )d).